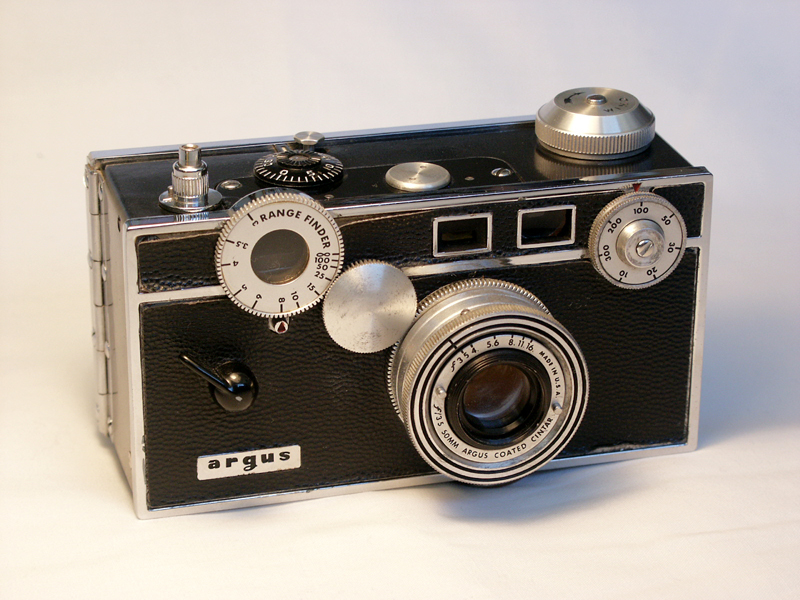 Living in the Past: My first serious camera was a 35 millimeter Argus C3. I cannot recall how I got it, but I think it was a hand me down from someone. It had a cold and calculating appearance, with a number of dials and dark skin accentuated around the edges with shiny metal. Those dials controlled the aperture and shutter settings which I didn’t understand. I fiddled with the dials but couldn’t figure them out. Then I read an articles which gave me some idea about the power I now had to create interesting photos. The aperture setting controlled the lens opening and determined how much of the subject area was in focus. The shutter setting controlled how fast the lens opened and closed which determined whether an action shot was blurred or not. With these two settings I could create photos that were interesting and artistic. This camera sent me shuttering along the photography road. I carefully clicked open my shutter at what I thought were the best possible moments. I learned the way to avoid shadowy, gloomy outdoor portraits and scenes was to take my exposures only in the early morning or late afternoon hours. Along the way, I discovered I had an eye for portraiture that won praise from people, like my friend, so happy by the picture of him in his cowboy hat which he couldn’t wait to give to his mother. No one else ever gave him this freedom of expression. I shot pictures of water falls at slow shutter speeds which turned the water into soft wisps of white. I could never draw, but the camera finally gave me the means to let out my imprisoned urge to create visual images. I waited a long time to get into digital photography because I feared it took too long to master. So I wasted money paying for disappointing photos. I thought the possibility of viewing the final product right away seemed a dream come true… if only I could take the step. Finally I did and my world of photographic possibilities became bigger…and greater. Now I could upload digital photos to a computer and edit them using the latest software. I could enhance the exposure. I could crop out unwanted objects or people. I could add special effects. I remember my first purchase of photo software, however, as a nightmare. The software provided too many possibilities and confirmed my worst fears of digital photography. Eventually, I upgraded to my current computer which has set my artistic urge free again. With a swiftness I never imagined back in the C3 days, I can capture an important event, edit the pictures and place them online in a fraction of the time it used to take to get my roll of film developed and printed. 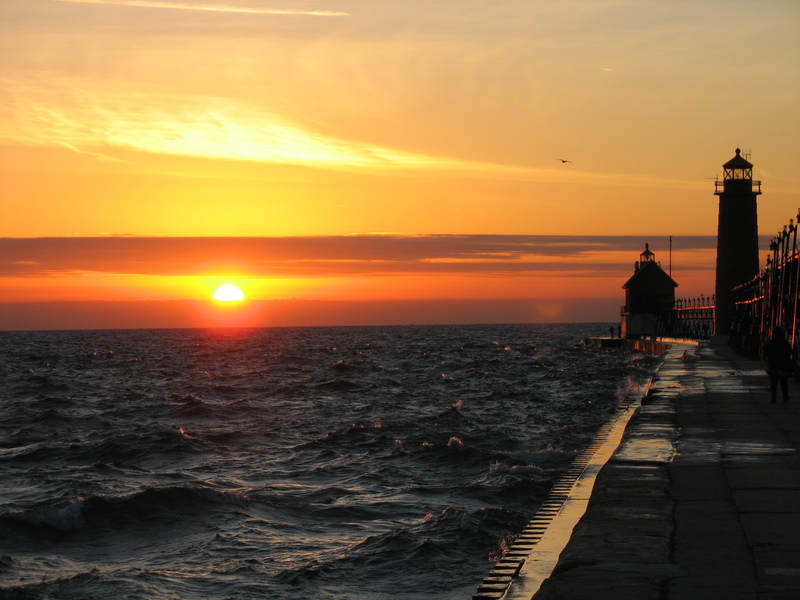 Here’s a photo taking recently on an outing to Lake Michigan. This entry was posted in Accomplishment, Art, Cameras, Creativity, Focus, Happiness, Perspective, Photography, Relaxation, Visual and tagged artistic expressions, Cameras, Online, Photos, Self Worth. Bookmark the permalink. The great thing about a camera like the C3 is that it forces you to slow down and think about every shot. weblog posts. In any case I’ll be subscribing to your rss feed and I am hoping you write again very soon!